3 Bedroom Semi Detached House For Sale in Gravesend for Guide Price £300,000. Offered to the market with no onward chain is this 3 bedroom family home with an impressive gym and space for a double garage to the rear. 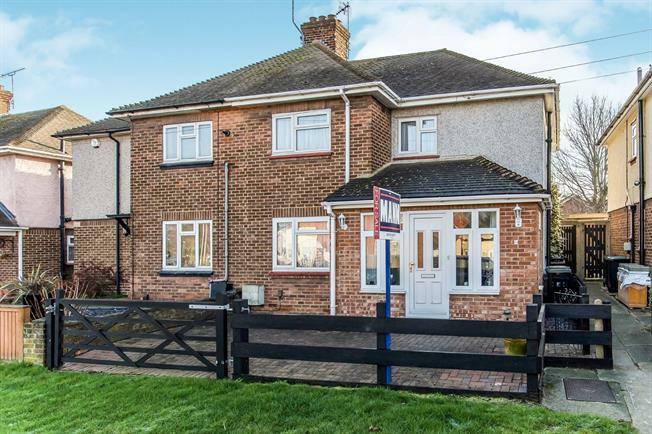 The extended accommodation comprises entrance porch, hallway, lounge/diner, kitchen, conservatory and access to the the attractive rear garden with outside W/C, utility room and gym. To the first floor there are 3 bedrooms and a family bathroom. Seeing is believing so book your viewing today!